But bear this in mind it was meant to be. And I’m joining up the dots with the freckles on your cheeks. I know you’ve never loved the crinkles by your eyes when you you smile. You’ve never loved your stomach or your thighs. The dimples in your back at the bottom of your spine. But I’ll love them endlessly. I won’t let these little things slip out of my mouth. But if I do, it’s you. Oh it’s you they add up to. 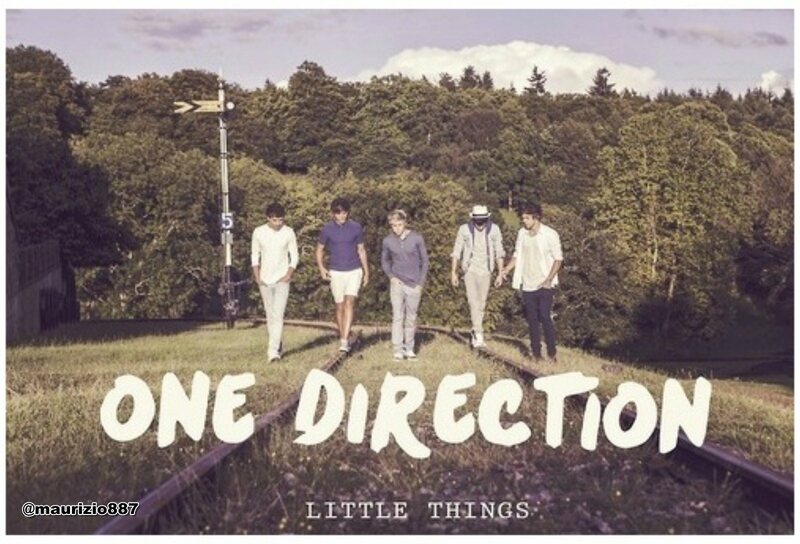 I’m in love with you, and all these little things. You can’t go to bed without a cup of tea. Maybe that’s the reason you talk in your sleep. And all those conversations are the secrets that I keep. Though it makes no sense to me. I know you’ve never loved the sound of your voice on tape. You never want to know how much you weigh. You still have to squeeze into your jeans. But you’re perfect to me. But if it’s true, it’s you. It’s you they add up to. You’ll never love yourself half as much as I love you. You’ll never treat yourself right darling. If I let you know I’m here for you. And I’ve just let these little things slip out of my mouth. Cause it’s you, oh it’s you, it’s you they add up to. And I’m in love with you and all these little things. I’m in love with you, and all your little things.